The study focuses on supplier-customer dyads in a market structure of imbalanced power and investigates how three elements of customer trustworthiness, including interactional courtesy, procedural fairness, and honesty, work together to impact supplier long-term orientation in the relationship. Despite the importance of trustworthiness in shaping supplier-customer social interactions and information exchange, relatively few studies have examined how these three elements of trustworthiness work together to impact relationship continuity in imbalanced power relationships. A marketing channel with multitier suppliers and customers is a social system, where suppliers and customers are linked together by a variety of social relationships that underlie economic linkages (e.g., Ha et al. 2016). 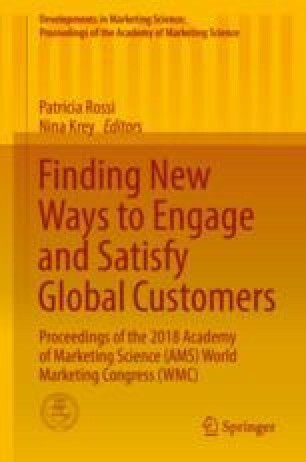 A variety of interactions between suppliers and customers in a marketing channel engender the exchange of nonmaterial goods, such as information and symbols of approval or respect (e.g., Wang and Zhang 2017). Among the three elements of trustworthiness that capture social interactions between suppliers and customers (Caldwell 2003), interactional courtesy focuses on the process of communication with politeness and respect at the interpersonal levels (e.g., Dayan et al. 2008). Procedural fairness reflects the judgment of fairness in processes that lead to business outcomes (e.g., Blader and Chen 2011), and customer honesty captures the supplier’s belief that the customer communicates reliable and believable information, stands by its word, and fulfills its obligations (Kumar et al. 1995). The study applies an inductive theory-building approach and examines the data from 205 small supplier-large customer dyads in the food supply industry. The food supply industry is characterized by the imbalanced market power between suppliers and customers where a large number of producers depend on a few food processing companies, such as Bunge, ADM, and Cargill, for survival. The finding through a series of hierarchical linear regression models shows that customer procedural fairness, reflected in fair practices in decision justification and business processes, enhances long-term orientation of suppliers. Interestingly, findings also show that both customer interactional courtesy and honesty have S-shaped relationships with the long-term orientation of vulnerable suppliers. Specifically, supplier long-term orientation is highest when customer interactional courtesy and honesty are at a medium level. Both a high level and a low level of interactional courtesy and honesty dampen supplier long-term orientation. The findings demonstrate that the powerful party needs to be sensitive to socio-emotional needs of the weaker party and reveal the complicatedness of relationship management in a market channel of imbalanced power.